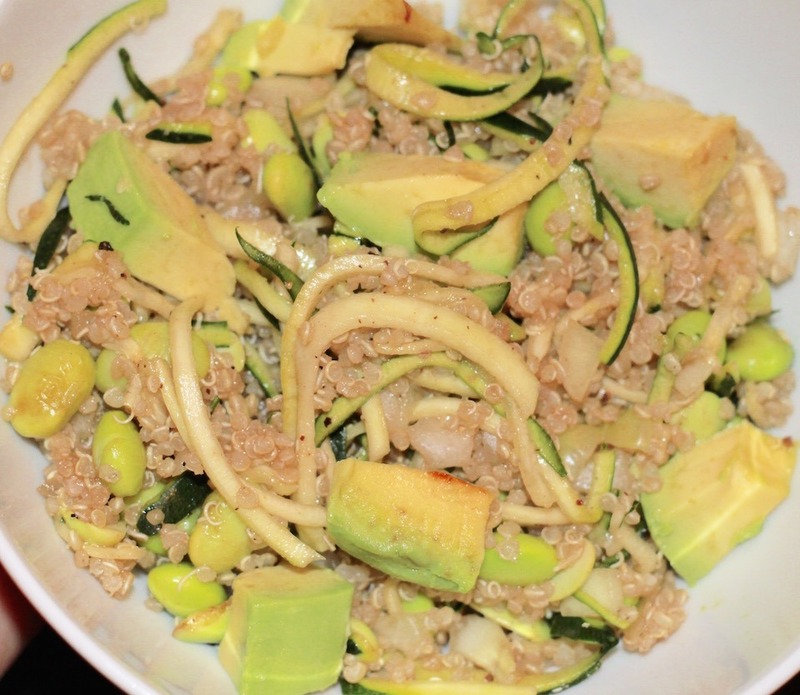 Zucchini Power Salad- spiralized zucchini with edamame, quinoa and avocado. Protein and vitamins…filling and nutritious. 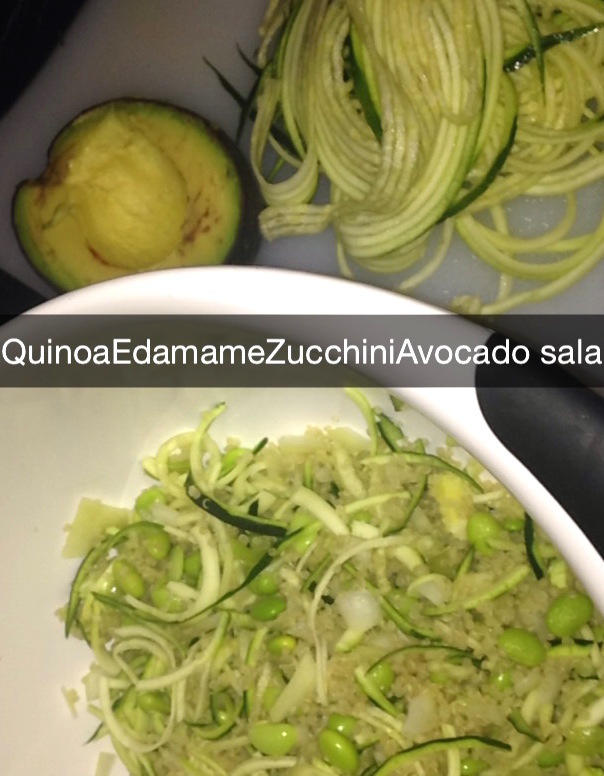 I used this recipe from SkinnyTaste.com for the zucchini salad but added quinoa to make it more filling/a complete meal. 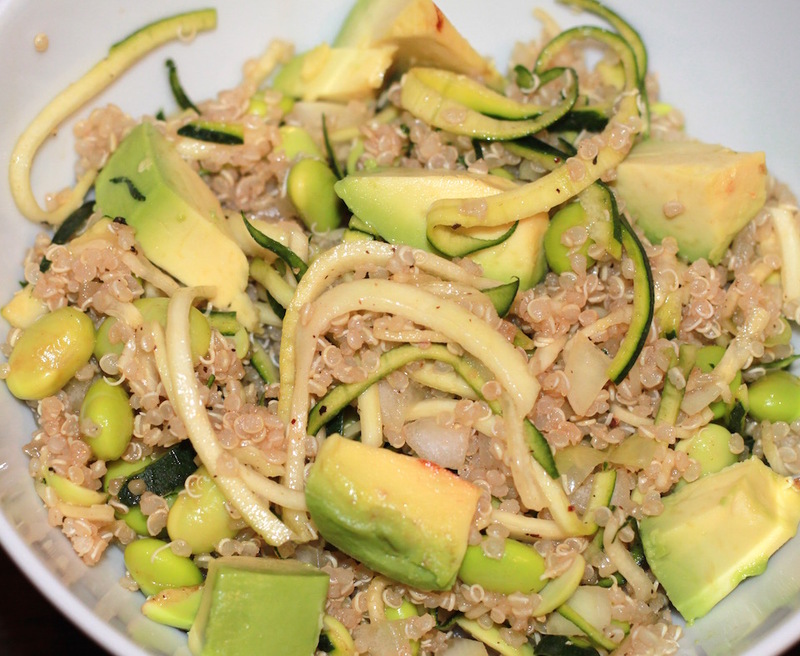 Cook 1 cup of quinoa (I like to use a rice cooker for this) and let cool. 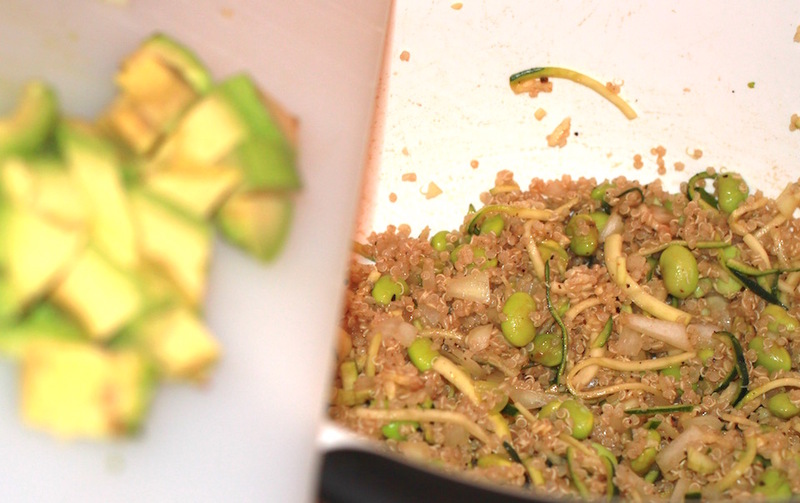 Microwave 1 cup of frozen shelled edamame and let cool. Spiralize 2 medium sized zucchinis after washing and removing the ends (removing the skin with a peeler first is optional). Chop up 1 medium sized white or red onion. 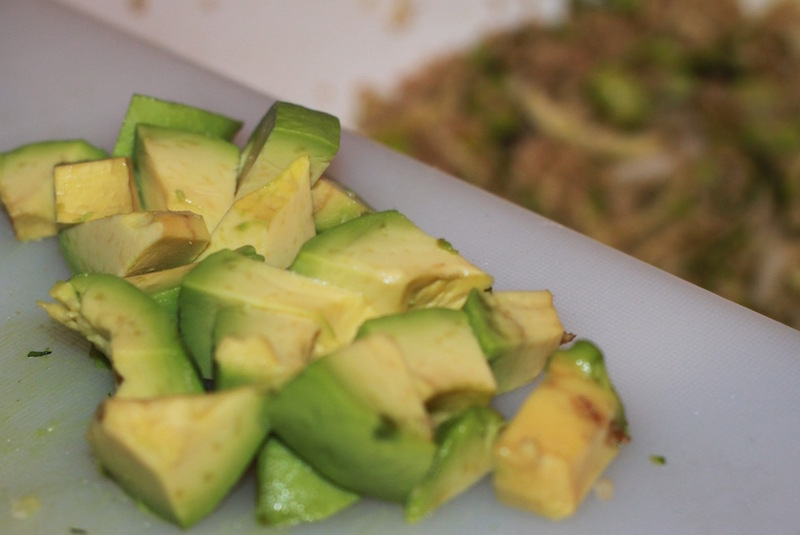 Toss all ingredients together, other than avocado, and mix. Drizzle with light balsamic vinaigrette.